I finally got a carbine! I've been keeping an eye out for them for a few years now and it finally lined up that I found one locally for a decent price. Got the rifle and bayonet for $1050 which I think is fair. I've seen rifles in worse condition go for $1200-1400 locally (worn out blue sky imports even) with no accessories. Inland 12-43 barrel, 1-44 receiver from serial #-- I imagine they're a matching original pair. "BA IAB" stock cartouche (Benicia Arsenal from what I can find). Mostly inland parts, but a couple Winchester bits in there that I've found so far. I'm not hip just yet on which parts are "correct" or "original" but I'm honestly not too concerned. Most US rifles end up in some sort of arsenal rebuilt condition so it is what it is. I grabbed 100 rounds today after work. Hoping to shoot it some time this week. Incredibly light/handy, good sights, I can't imagine there's much recoil. I think it might end up my favorite milsurp to shoot. 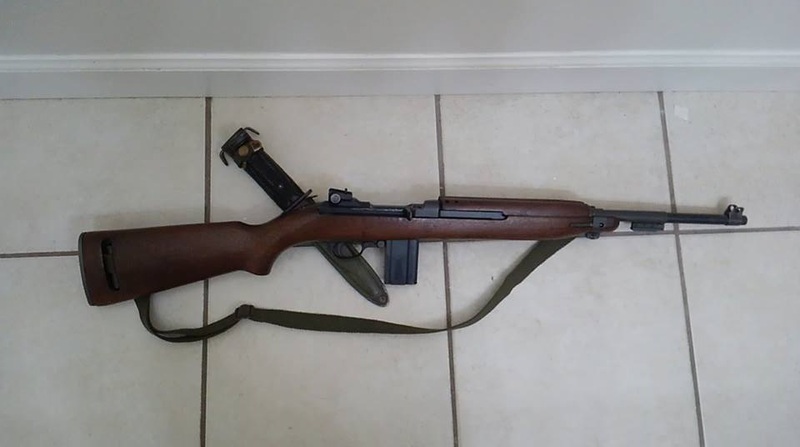 Beautiful carbine.I have her younger sister (Inland 1-45, GM, NPM stock). 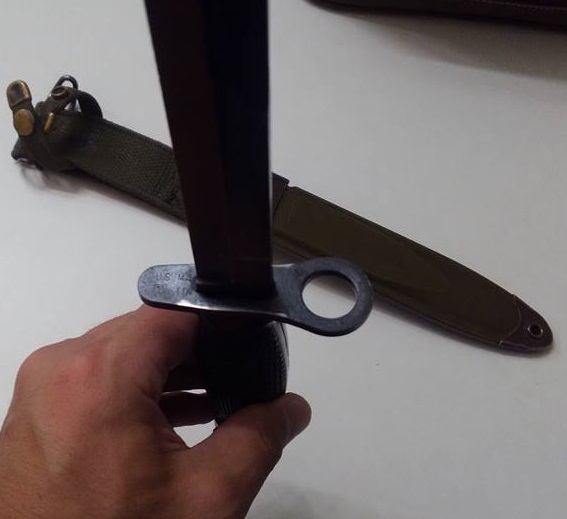 Would you share some bayonet photos? Sure! I am clueless on bayonets. It says US M4 CONETTA on it if you can't make it out on the one picture. I was able to get out today after work and shoot 30 rounds. Great fun. It actually kicks a little more than I expected, but still a very fun rifle to shoot. Really like the sights-- We'll see what I draw for tags this year but I think I could probably manage a whitetail with this thing. If not, certainly intend to get a coyote with it. Still can't get over how handy it is. No worse than a .357 magnum, and not far behind a 300 blackout. Within 75yd I'm pretty comfortable with it. The tag I'd use it for is Black Hills Whitetail (south dakota), which is mostly short-range shots anyway. FWIW the Hornady Critical Defense ammo in M1 Carbine loading tested hotter than 357 loads, but forget where I read it recently; maybe Gun Tests magazine or the AR/M4 forums. 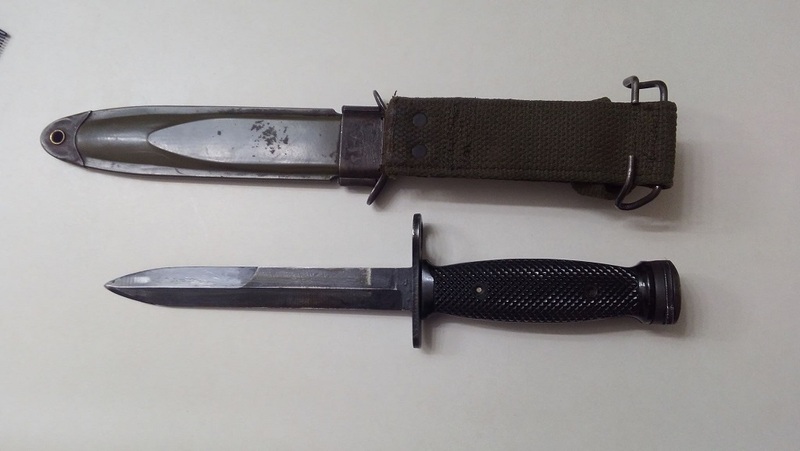 FWIW, that Conetta bayonet is a post-WW2 "second production" M4 model, identifiable by the plastic grips and slightly wider crosspiece. 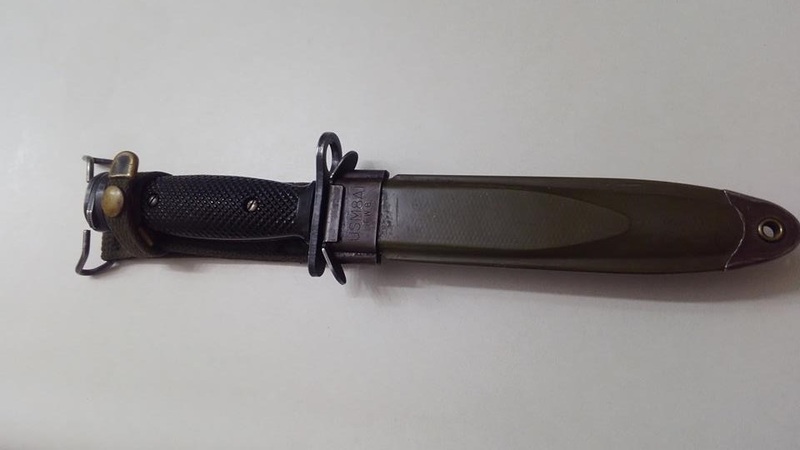 Conetta was a Stamford, Connecticut firm, one of 4 manufacturers of second production M4 bayos that also included Turner Manufacturing Co., Imperial Knife Co., and Bren-Dan Manufacturing Co. 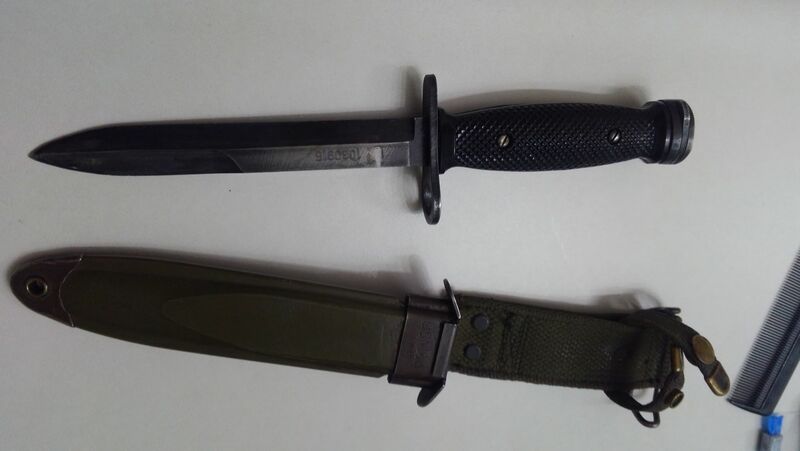 In its arsenal rebuild condition with the Conetta bayonet it would be "correct" for the Korean and VietNam conflicts. The original "first production" WW2 M4 bayos had leather grips.